Nobody knows Edge Master's real name, when or where he was born or how he became the great master of the Ling Sheng Su Temple. Each new chief of the temple simply knows that he is well versed in almost every weapon known to man. He descends from the mountains to initiate the successors of the three treasures and teach them the secret arts of the temple. 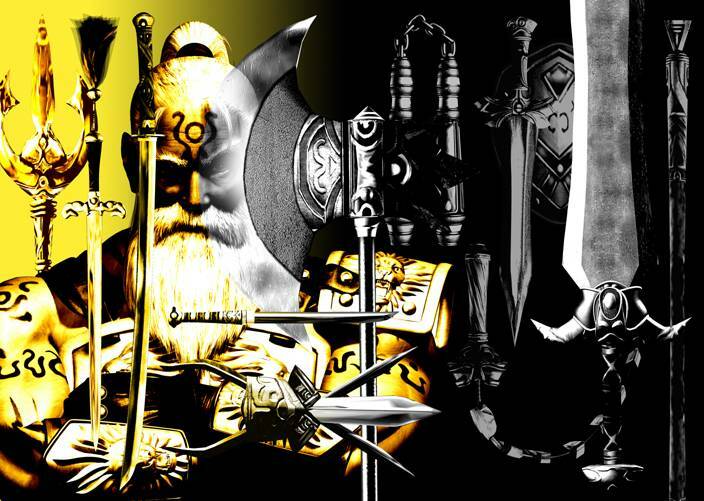 These facts show that Edge Master had lived an extremely long time, but none of the previous chiefs or successors of the treasures know the truth about him because he never talks about himself. 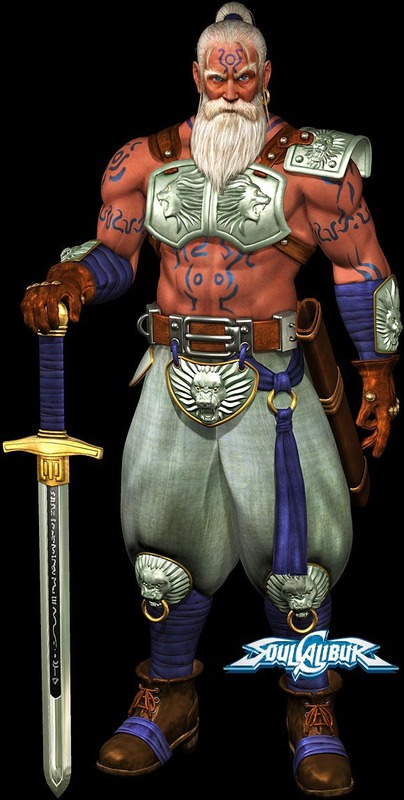 The person who probably knew the most about him was Kilik. 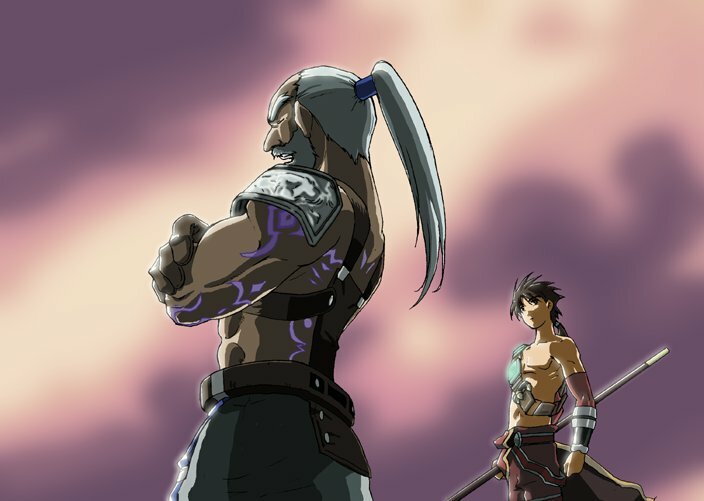 After the destruction of the temple, Edge Master took Kilik in and taught him to suppress the Evil Seed which had inhabited his body. He trained Kilik for three years, and the bright young man mastered most of the secret arts of the Ling Sheng Su Style rod. 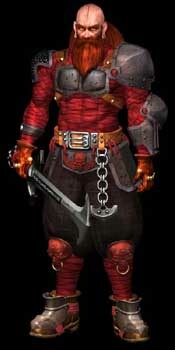 As a final trial to test Kilik's skill and to help him resist the Evil Seed, Edge Master sent Kilik west to find Soul Edge. 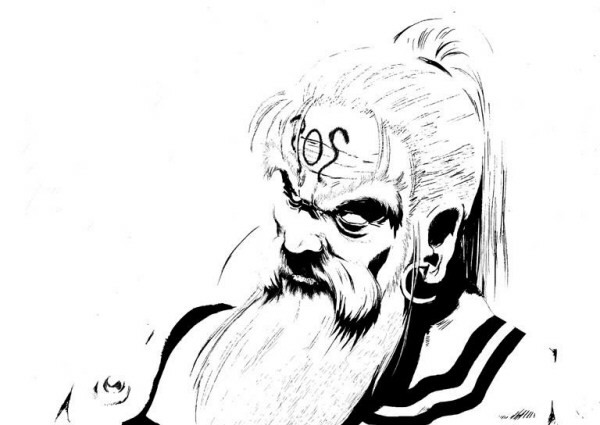 After Kilik left, the master devoted his mind to deep meditation. He had always believed in destiny, but something stirred in him. It might be worth challenging the stream of history again, he thought, to cut his own path through destiny and create the future. 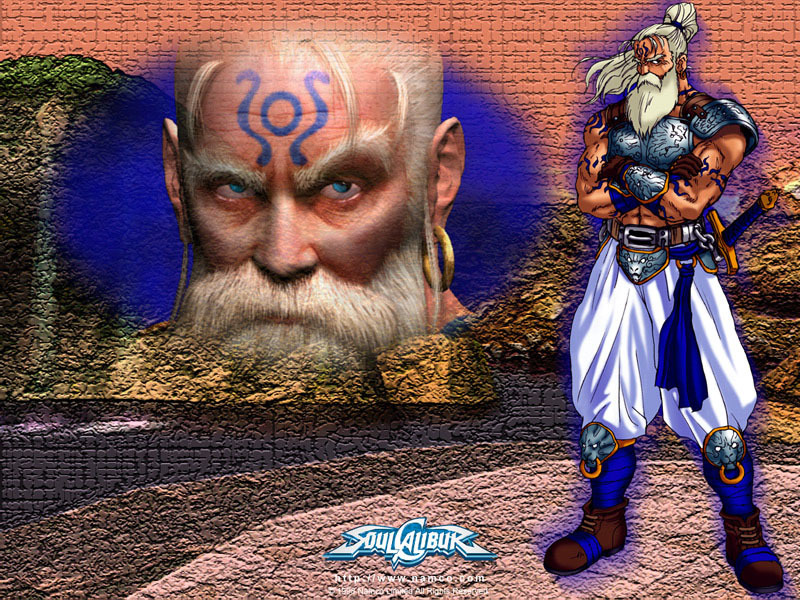 But, for reasons known only to himself, Edge Master knew this was not his place and awaited Kilik's return. 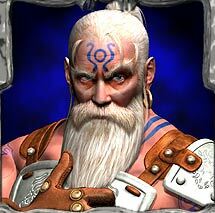 Once the Soul Edge was destroyed, he would finally be able to rest. Kilik returned after Soul Edge was destroyed. Edge Master was glad to see that the warrior had been up to the challenge, but he still had one test left for him. Edge Master attacked Kilik using evil energy to teach Kilik how to master evil by using it. Kilik successfully defended himself, and thus passed Edge Master's final test. Was there some connection between Edge Master and the Soul Edge? We may never really know. I thought Edge Master was badass since the very first time I first saw him. He's a simple, straight-forward design and a very clever great random fighting style character. 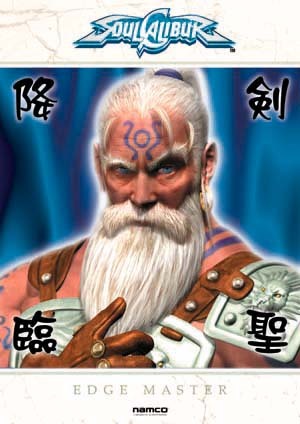 An elderly master who knows ALL the weapon styles of Soul Calibur? What a badass. 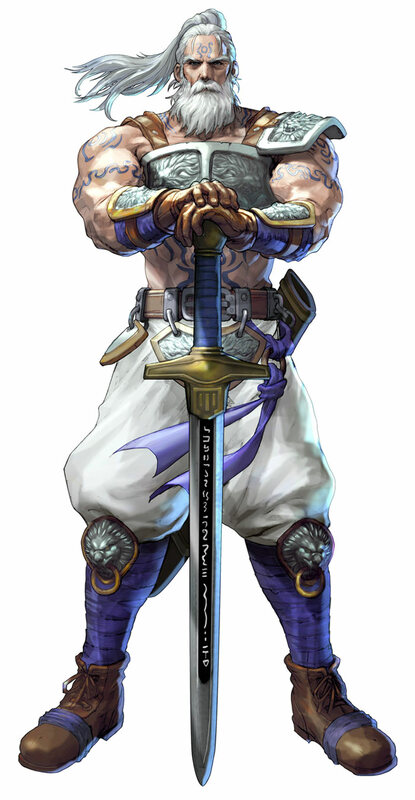 In my opinion, he's easily the coolest and overall best "random character" to ever appear in Soul Calibur. Olcadon and Charade were entertaining for the time, but they couldn't match Edge Master. I had the sentence "bring back Edge Master, Namco!" on this profile for well over 7 years, and it appears Namco finally listened! 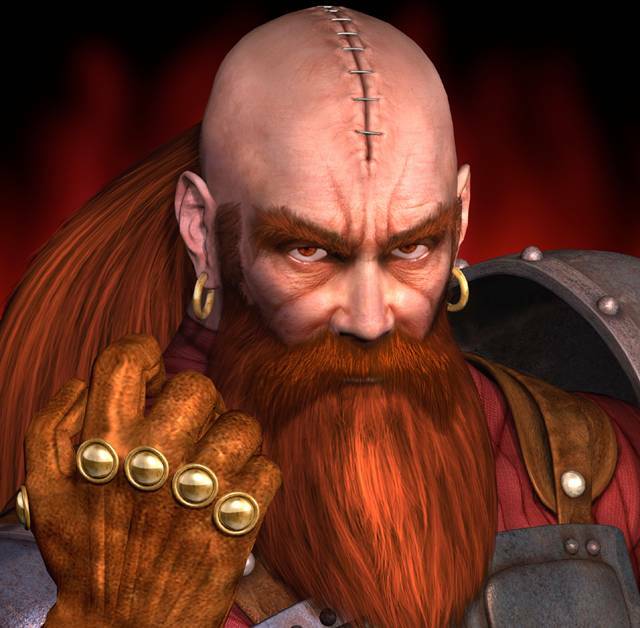 Hahaha... in any case, I'm ecstatic to see him finally come out of retirement and return in Soul Calibur 5! I'm surprised he hasn't changed much visually over the last "17 years"... he must really take care of himself!